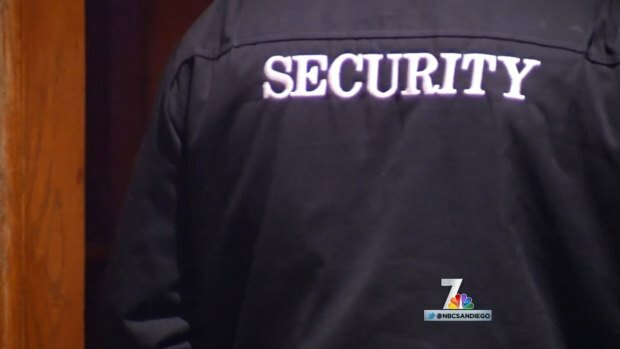 State Assemblyman Jim Cooper is working on a bill to clean up California’s security industry after seeing NBC 7’s February investigation that exposed the local underground industry of untrained, unlicensed security officers. 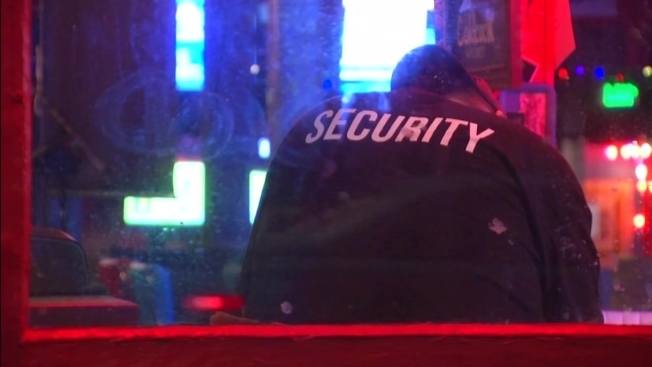 The story came after two local deaths involving bouncers – one where the bouncer was arrested and charged for involuntary manslaughter and the other where the death was ruled a homicide. The San Diego Police Department forwarded that investigation to the San Diego County District Attorney’s office for review. In NBC 7’s original investigation, we brought up two issues within the security industry. 1) If a security officer/guard isn’t wearing a uniform, he or she does not have to be licensed in the state of California. 2) Many of them are getting state-issued security guard registration cards (also known as guard cards) and getting jobs. The problem is some are completing only a fraction of the curriculum. “My bill wants to make sure they’re properly trained. That’s the most important thing,” said Cooper, who introduced the measure on Feb. 26, two weeks after the NBC 7 piece aired. AB 1042 is in its early stages. The current language indicates it’s addressing the uniform issue by expanding the definition of “proprietary private security officer.” That way, regardless of what’s worn, a security officer will need to be licensed if he or she simply interacts with the public. NBC 7 Investigates spoke with Roy Rahn, the executive director of the California Association of Licensed Security Agencies, Guards and Associates (CALSAGA). The association represents the state’s security industry. He provided us with this statement: "Even though it may cost more money, it’s additional regulation that’s sorely needed – obvious by tragic incidents we’ve recently had." Oceanside police investigated one of the recent deaths involving a bouncer, so NBC 7 Investigates wanted to know what it thought of the new bill. Cosby said he’ll keep an eye on AB 1042. Either way, he is glad efforts are underway to find solutions to problems he has known about for years. “I think you brought to light something that state lawmakers should know, that the public should know,” he said. The Department of Consumer Affairs, the agency that regulates the security industry, told NBC 7 Investigates it cannot comment on pending legislation. Cooper said the next steps with AB 1042 involve talking to industry leaders, going to a hearing in March or April and then, if approved, landing before the governor for his signature later this year.